SPL winner Robson joined Boro from Celtic for an undisclosed fee. The 31 year old Scotland international is a firm favourite with Gordon Strachan, and was arguably Celtic's best player this season. A great buy from Strachan, Robson is a solid midfielder with a hard working attitude. Flood found himself out of favour at Celtic Park and was keen to rejoin his old manager when the opportunity arrived on a free transfer. The midfielder appears hard working and has already got his name on the score sheet in his second game for Boro with a miss hit 35 yard cross. Another Celtic free transfer, Killen found himself our of favour at Celtic Park and has a point to prove at Boro. Killen has shown already that he can hold the ball up well, and may be the target man we have been lacking since Viduka departed. Celtic's current captain joined on loan, a proven defender in the SPL, and I'm sure Celtic will miss him. A rumoured £500,000 loan fee was paid by Boro to secure his services, but I hope we can tempt him with a permanent deal in the summer. Ex Blades and current Spurs player Naughton has struggled to break into the Tottenham first team having been arguably the Championships best player last season. The young right-back is keen to make a good impression in his spell on Teesside. MacDonald leaves Celtic as their joint top scorer on 9 goals & 2 assists from 18 appearances, and joins for an undisclosed fee. The Aussy striker may just be what we need in front of goal as since the departure of Viduka, Hasslebaink and Yakubu we have severely lacked a proven hit man. Miller joins Boro from Aberdeen for another undisclosed fee, and is another striker from across the border. Miller isn't as prolific as MacDonald having only bagged 4 times this season in 18 games, but in the last two seasons he has contributed double figures to the campaign. 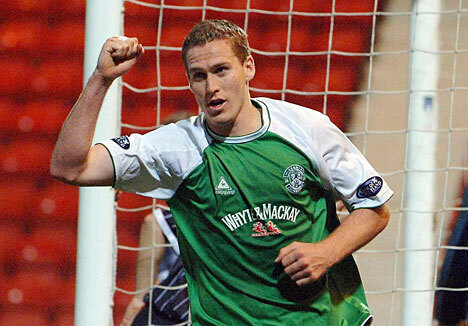 Digard always had potential, but his injuries got in the way. Never featured enough to be any sort of loss to Boro. Never got a run in the team despite still featuring on the international scene for Egypt. Like Digard, never played enough to be a loss. It was a surprise that Yeates having spent less than 6 months on Teesside was sold in quite an abrupt fashion, but since Strachan's arrival his involvement has been sporadic. Rumours on Teesside indicated other reasons for his departure, but he is now happily at Sheffield United for the next 2 seasons. This is the big one, will he... won't he... Well he did, and with minutes to spare he made the switch just before 5pm for a rumoured £7,000,000 fee that bankrolled the signings of MacDonald and Miller. As you may have read in this blog, Adam Johnson was the most influential player at the Riverside this season, so it will be interesting to see how we fair now he has gone. Good round up, I can't help but feel a little more optimistic with the addition of McDonald and Naughton. Johnson will be a miss but lets face it he was gone in the summer anyway and we needed to get the best deal possible.